Download the Castle Club App right now on The Apple Store & Google Play for free and get listening to hundreds of great shows. As serious about music as we are about clubbing, Castle Club Radio plays nothing but quality music, with live club stream experiences and freshly presented – musically orientated shows 24/7 for your aural pleasure. 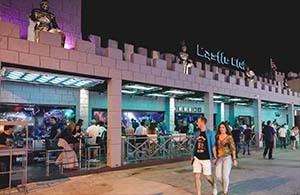 Launched in 2012 Castle Club Radio is a non-profit internet based Radio station that is broadcast from Castle Club studios based in the heart of Ayia Napa. With no adverts and no interruptions we bring you non-stop music. With bigger names then a welsh street directory, the Castle Club Radio schedule brings you over 100 carefully selected shows every week. 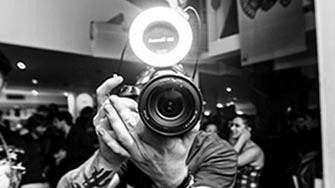 With the likes of Paul van Dyk, Eddie Halliwell, Judge Jules, Defected, Axtone, Danny Howard, Don Diablo, Sister Bliss, Ferry Corsten, Stonebridge and many more also live shows from London, Ibiza and around the world, Castle Club Radio brings you none stop music with no ads or breaks 24 hours a day, 7 days a week all year. Also during the summer months when Castle Club is open you can lock into the live sessions broadcast straight from the Castle Club’s main room every day of the week from 2am till 5am (GMT+2) as if you’re here alongside us in side the walls of Castle Club itself. During the winter months while the venue is closed we air a selection of all the recorded live shows from over the course of the summer. Castle Club also broadcasts live from many of our reunions around the world. Tune in to the Castle Club Radio Schedule you can download our FREE App via the App Store or the Play Store for iphone and Android and connect direct to the live shows with our message board and have direct access to our social media sites all from your phone.